Slightly creamy and with a sweet tomato taste, this Catalina salad dressing is perfect for garden salads, cold pasta salads, or garnish on a freshly grilled burger. Can be made in advance for easy weeknight dinners or quick potluck side dishes. 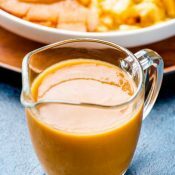 When the warmer months are approaching, I always try to keep a few fresh salad dressing options in the fridge, and this Catalina dressing is one of the newest additions to my rotation. Because, you see, we start cooking more steak dinners in the summer, and what goes better with a steak than a flavorful salad? We also start getting invites to BBQs and having some dressing options handy to whip up a flavorful side dish to bring is always a perk. It also helps that I’ve recently fallen in love with taco pasta salad (recipe coming soon!) and this dressing just happens to be a key ingredient. 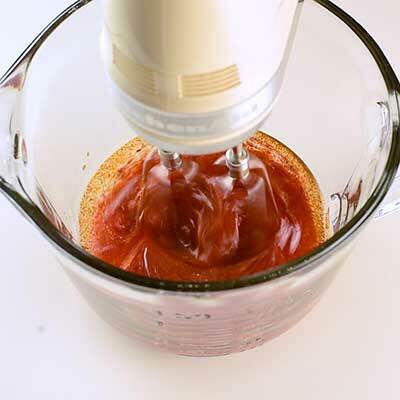 Catalina dressing has a sweet tomato flavor with a thin (yet slightly creamy) texture. It’s best served with classic garden salads, pasta salads, and burgers. While these two dressings are similar in look and texture, there are a few key differences. 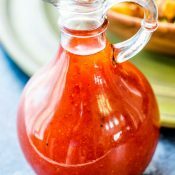 French dressing typically refers to a dressing with an oil-and-vinegar base with hints of mustard and seasonings. The store-bought versions are usually creamy and have a light orange in color. On the other hand, Catalina dressing tends to be thinner and has a bold red hue. 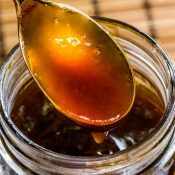 And though it also has an oil-and-vinegar base, the sweet flavor has hints of tomato and the spices aren’t as potent. How do you make Catalina dressing? 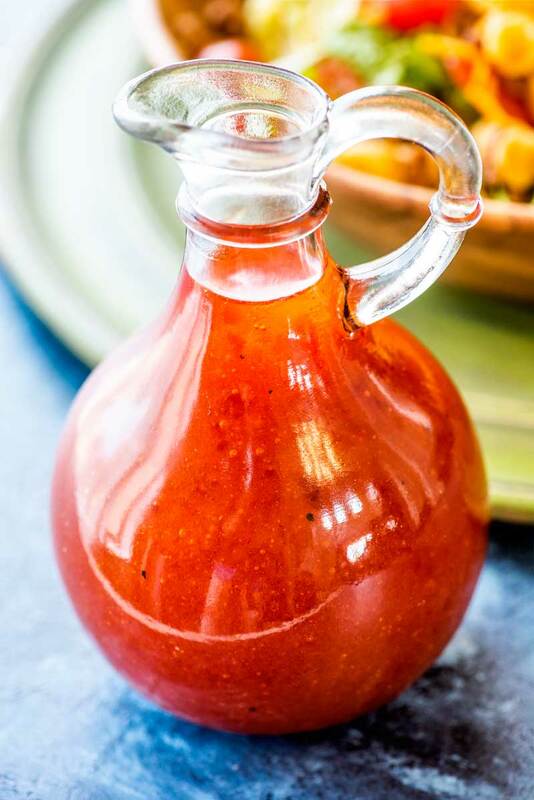 Like most salad dressings, this sauce is easy to whip up in just a few minutes. First off, pick how you want to blend the sauce. You can either use a hand mixer or a food processor. For easy cleanup, I tend to like the hand mixer. 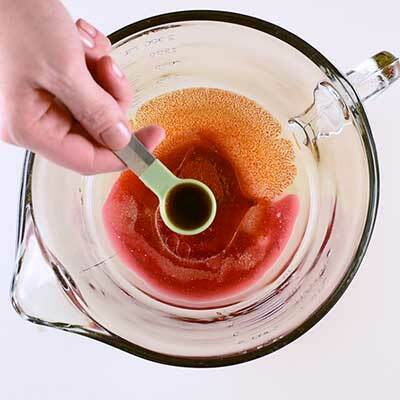 Step 1 – Put all of the following ingredients in a bowl (if using a hand mixer) or in the bowl of your food processor: canola oil, ketchup, sugar, red wine vinegar, onion powder, paprika, Worcestershire sauce, salt, and pepper. 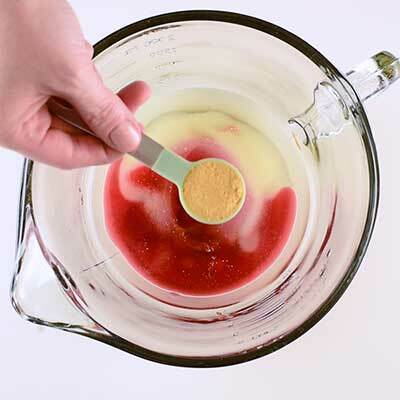 Step 2 – Mix ingredients thoroughly, until the oil is incorporated with the other ingredients. I typically keep mixing until the sauce appears thickened and bubbles begin to form while mixing. 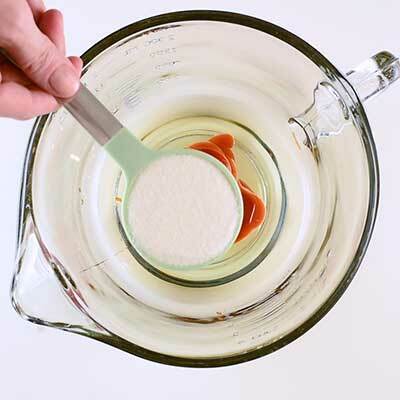 As mentioned above, you can use either a hand mixer or a food processor to mix this dressing together. 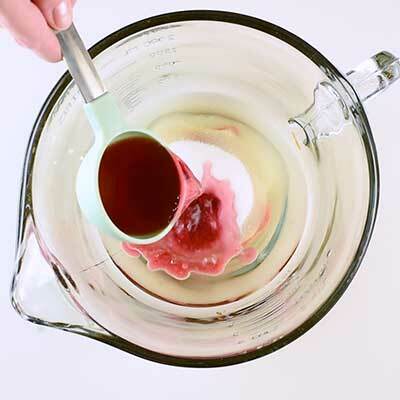 I prefer to use a hand mixer for easier cleanup, but either method will work just as well. 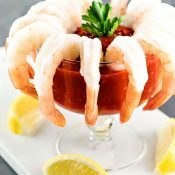 In a large bowl, add canola oil, ketchup, sugar, red wine vinegar, onion powder, paprika, Worcestershire sauce, salt, and pepper. 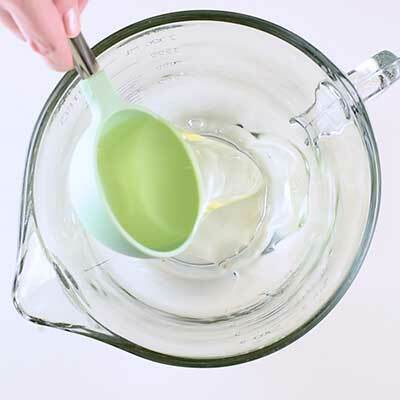 Using a hand mixer, blend ingredients together until oil appears incorporated. 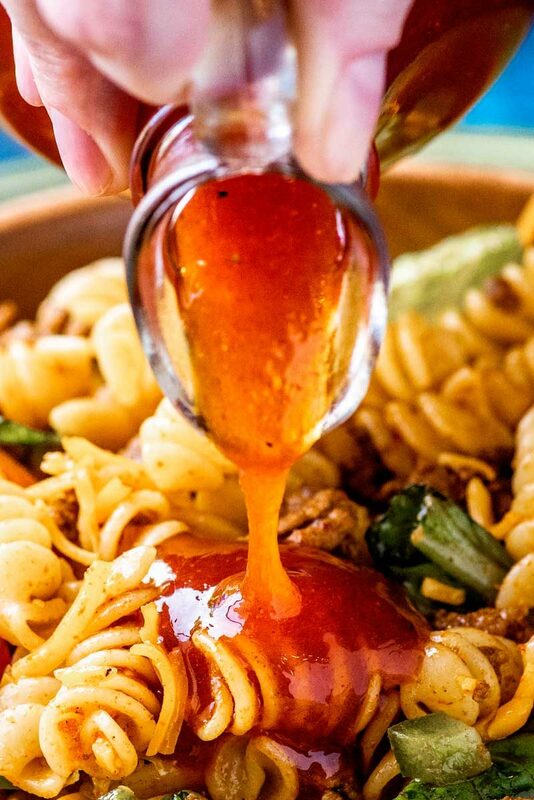 Sauce is ready when it appears thicker and bubbles easily form while mixing. Store Catalina dressing in a sealed container in the refrigerator for up to 5 days. 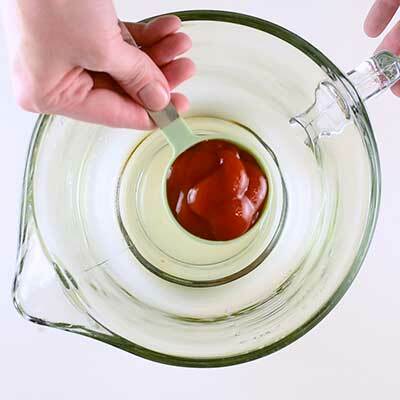 Before serving, shake dressing thoroughly. Hi, I don’t have red wine vinegar. Is it possible to substitute this with apple cider vinegar or something else? I made this for a garden salad for a party we were attending. GREAT recipe! it was a hit. I only have sugarless ketchup and I don’t add sugar to most things I eat, so I substituted a few squirts of agave instead. It was so good! Thanks for this salad dressing recipe. It’s going to be a regular in this house from now on!